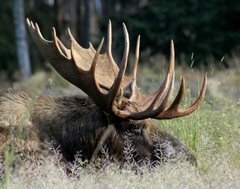 Moose Tracks: Ban This Article! This is the kind of soul searching that I DO NOT want to see Democrats doing! It is damned dangerous, I want them focusing on "fake news", Russian hackers, and the cost of providing security for Trump and his family! I think I'm pretty safe in assuming that VERY few people of a lefty bent are following this blog so we will do a little analysis. Many reasons, of course. Republican Inc. has always been better than the Democrat Co-op at the cutthroat battleground tactics necessary to win elections. If they could sell the damaged merchandise at the top of their ticket this year, they pretty much proved they can sell anything. Hmm. Really? As late as October the levels of smug on the impending Hillary landslide were at flood stage. We had heard for the last 8 years how the Republicans were democraphically dead and would never win the presidency again. Trump was going down by double digits and the Senate was as good as Democrat. Republicans are pure crap as salesman. Donald Trump sold Donald Trump -- the Republican establishment hated him as did much of the conservative media (eg NRO). Your electoral implosion was not driven by ignorant, racist, homophobic misogynists, and you need to let go of that morally smug meme if you ever want to regain the trust of middle-of-the-road D- and R-leaning voters. That paragraph is truly dangerous, it ought to be banned! I'm fairly certain that Democrats enjoy their moral superiority far to much to lend creedence to this kind of thinking, but it is the kind of thinking that needs to be stamped out! "Fake news", "stupid racist , homophobic irredeemable deplorables"! THAT is the kind of thinking we need -- DOUBLE DOWN! We still have the whole administrative state to fix, education and most of the media. Conservatives need to win A LOT MORE! Where is the smugness of the Strib when you need it! Articles like this scare me!